The Shanghai Disney Resort has announced their second major expansion since their opening in 2016. A Zootopia-themed land based on the Walt Disney Animation Studios’ animated film will be the park’s eighth themed land and the first-ever Zootopia-themed land at any Disney park. 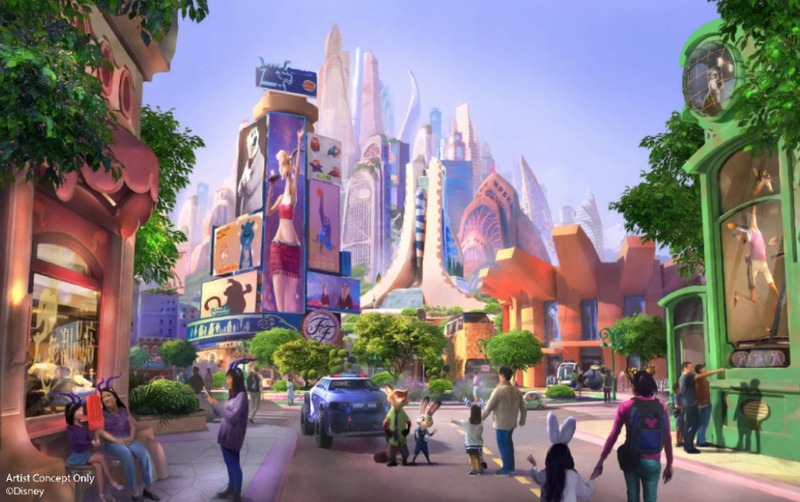 Guests will be able to experience “the mammalian metropolis of Zootopia where anyone can be anything.” A new major attraction blending Disney’s storytelling along with state-of-the-art technology will bring the characters such as Judy Hopps and Nick Wilde from this fan-favorite movie to life. Visiting guests will be able to immerse themselves with new ntertainment, merchandise, food, and beverage offerings as well. Construction is on the new land is set to begin later this year.